People who are looking to sell items online have traditionally turned to eBay for their needs. Nevertheless, a number of contenders have come up in the past few years, with Amazon being one of the more worthy competitors. Does Amazon indeed have what it takes to measure up? Can eBay hold on to the market it has tenaciously dominated for the past several years? Let's take a look! Amazon and eBay are quite similar in that there is a listing procedure that users typically have to go through before they can begin selling their items online. However, it appears that Amazon has the edge when it comes to simplicity and ease of use. 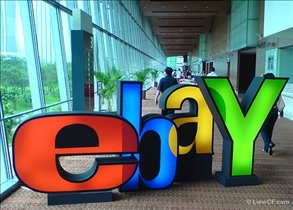 With eBay, users will have to go through an extensive process that involves uploading photos of the items that they want to sell, writing a detailed description of it, specifying shipping terms, defining the reserve price, and arranging all these details into an easy to read and attractive format. While this method gives users greater flexibility in designing the ad, some users may prefer the more straightforward Amazon approach in which all the description and photo work is done beforehand. When you sell commonly available items on Amazon, all you will have to do is provide the price, shipping options, and the condition of the item and your ad is basically done. If you are selling brand new, almost new or otherwise high-quality items, Amazon is the better option. Most of Amazon's buyers are more interested in getting high-quality merchandise than getting a great deal, so you will likely get more money out of the sale. Most people who shop on eBay are on the lookout for the best deals possible, so you may have to settle for a lower selling price. That being said, eBay is the better option if you want to sell your items quickly, since you can set your auction to end in a few days and even provide potential buyers with the option to "buy it now". With Amazon, you could be in for a long wait before people even click on your listing. Both sites charge you a fee for the service of course, but eBay charges you a fee even before you sell your item, and takes a portion of your sale as well. With Amazon, there is no upfront fee to deal with, although they do take a larger percentage off the sale price. Amazon also takes on the responsibility of collecting all payments. The money is then deposited into the account that you specify, and in the event of non-payment, the item is automatically re-listed. With eBay, you will have to take care of all the details of the sale yourself, although the money is instantly available in your PayPal account upon completion of payment. Which website is easier to do business with? IMDB vs. Rotten Tomatoes: Which is better?